ATEX Certified. What is ATEX? It is a term commonly used to describe potentially explosive atmospheres (ATmosphères EXplosibles in French) and standard for protection systems and equipment. Two European directives, ATEX 99/92/CE and ATEX 94/9/CE, and international standards IEC 60079 and IEC 61241, harmonized with EN European standards, apply to this field. According to ATEX, a potentially explosive atmosphere is defined as a mix of flammable substances in the form of gas, vapour, dust (cloud deposit) which, in air under normal atmospheric conditions, can completely or partially catch fire in the form of an explosion when exposed to a source of ignition. Since July 1st, 2003, the European directive ATEX 94/9/CE makes compulsory the use of certified component, equipment or assembly when intended for use in potentially explosive zones, gaseous or dusty atmospheres. 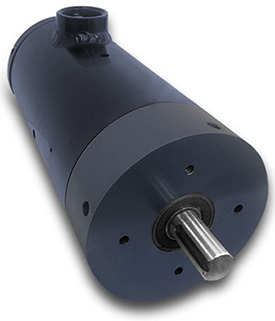 E8R-SY101 -000MC Explosion-proof, Selsyn resolver, single-turn, FM-approved Div. 1, Class 1, Groups B, C, and D, terminal connections, conduit fitting, 5/8" (15.88 mm) shaft dia. 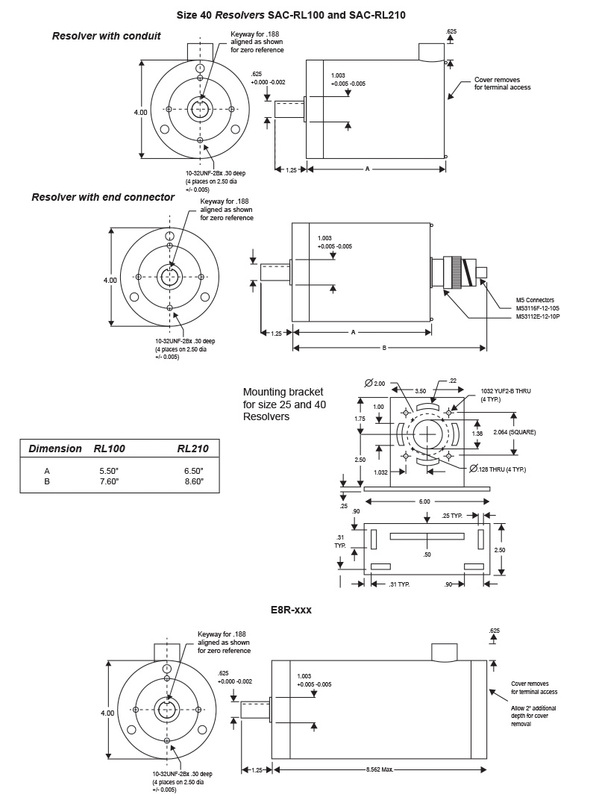 E8R-RL101 -000MC Explosion-proof, brushless resolver, single-turn, FM-approved Div. 1, Class 1, Groups B, C, and D, terminal connections, 5/8" (15.88 mm) shaft dia. Substitute 1 in E8R-RL101-X1 MC with 2 for higher accuracy resolver.